The audio files of our Sunday morning sermons. This service was held outside in a local park. In the recording, you may hear the wind at times. Many things around us would have us believe that they have the answer to whatever you need; but in reality the cross in the only answer! 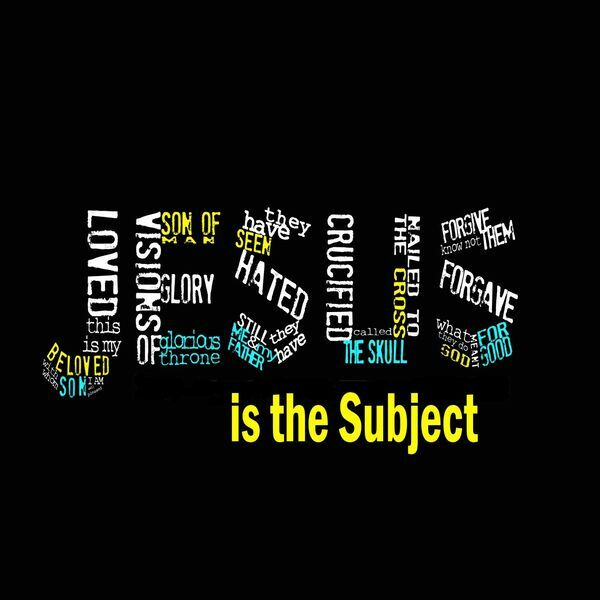 Do you believe and follow the One Jesus claimed to be or are do you believe and follow a Jesus of your own making? What do we do when life gives us lemons? Habakkuk gives us the answer. What do we do when the chaos and confusion around us, challenges what we believe about God? Story after story in scripture proves to us that God listens to our cries and praises. But are we listening to God? Persistent prayer calls us to self examination of our desires and our motives while deepening our faith and knowledge of our Lord. Jesus calls us to keep praying and never give up! A new year means new beginnings, and new beginnings start with prayer! With every ending we find a new beginning; sometimes it just requires a new perspective. The angels declared the Savior's birth with a message of peace on earth. It has been over 2000 years; where is our peace on earth? Mary's song shows strength and courage that can only come from her trust in God. Her trust in God becomes the foundation of her song of praise. Zechariah 's song of praise reveals the purpose of God's plan and the fulfillment of the long awaited promise. David models behavior that will help us thrive in the wilderness, not just survive. Emotions are a necessary part of life but trouble arises when we allow emotions to guide us. Emotions are designed to gauge our hearts not guide our truth. At the start of every day is a path. On that path is a woman named Folly and a woman named Wisdom. Both are inviting us over. Whose invitation do we accept? Words have the power to heal or hurt. As followers of Christ, we must THINK about how we use our words. To walk the path of wisdom, we must learn to guard our hearts. Paul's last words about Demas give us a warning about quitting. His advice to Timothy tells us how to avoid quitting and instead, hear the voice of the Lord saying, "Don't quit!" What if healing never comes? What does it say about our faith? How are you known? King Og was defined by his bed! Who does God say you are? Life is full of disappointments. If they are unavoidable, then what should we do with them? What if we let our disappointments make us desperate for Jesus? Do we really want to get well? Or are our "I can'ts" really our "I won'ts"? Are you ready to be changed or are you comfortable in your crippledness? What does our surprise over answered prayer suggest about our relationship with God? Are we putting God in a box or expecting God to be God? Like Bezalel, God chooses us for a task, and is willing to fill us with His Spirit and empower us for that task when we surrender our will to His. We can't bargain with God. Eternal life and His Holy Spirit are gifts, available to all. Jesus told us in Luke's gospel to "remember Lot's wife" so we should take heed in the message of her story and stop looking back. In Uriah, we find authenticity and sincerity in honoring God with our actions. We can learn much from the relationship between Jethro and Moses. They give an example of the importance of relationships. Hagar's encounter with God reminds us that we are never alone nor too far from God. A few short verses describes the courage of Benaiah. His lion chasing story is one that we can learn much from in our pursuit of a holy Christ filled life. We strive for affirmation from the world and chase after it. We need to remember that God's affection and affirmation is not only enough but eternal! Grudges keep us imprisoned and rob us of our joy. When we learn to forgive, we set ourselves free! Sometimes our greatest disappointments and discouragements are because of our own expectations. What if we gave up our expectations and trusted God with the outcomes? Do we realize how quick we are to make negative judgements of others or do we offer them the mercy we have received from our Heavenly Father? The Holy Spirit is at work in our lives but how do we know? The greatest miracle of all is found in the most unlikeliest of places- a manger. When we recognize that God's thoughts are higher than our thoughts as are His ways higher than our ways, we will begin to see the miracles in His methods. When we listen to others, we must always put it against the truth of God's Word. Caleb knew that who he listened to made all the difference in how he approached life! In this world, we will have trouble and Joshua teaches us how to be strong in the battles. Following instructions matters, especially when the instruction giver is our Creator. We need to remember all that God has done for us, lest we forget in the days ahead. Rahab's story is our story. It is a reminder that nobody is beyond God's reach and God can use whomever He chooses to fulfill His purposes in the Kingdom. Be strong and courageous! There is no better description of God than Holy, Holy, Holy. What does God's holiness mean for us in our relationship with Him? Do we really understand what we are saying when we cry out, Lord, Lord? We close out our Rethink Life series, studying Colossians 3:18-4:6 with a focus on our role as a Christ follower in our family, our workplace, and in the world. Because of Jesus, emptiness is redefined. Do we find hope in our own expectation of who we want Jesus to be or in who He claims Himself to be? When Jesus bids us, to cast aside our idols and says, "Come, Follow Me," How do we respond? In the Garden of Gethsemane, Jesus teaches us the importance of prayer on our Journey Towards Hope. The world surrounds us with temptations to distract us from our Journey Towards Hope. We can learn from Jesus' temptations in the desert to see how to handle our own temptations. A look at Paul's 12 Point How-to-Guide for forming Godly relationships in our lives. Our ability to love others is dependent upon our relationship with God. To make an impact, we have to be courageous enough to say Yes to the Lord and join Him in His work. A look at the Good Samaritan story to see how we can have an impact when we show compassion. Encounters With Jesus- What's Your Value?